So it finally happened today when the sun went down for the last time during 2014 and the new year dawned at 12 AM in Fiji and New Zealand at around 11 AM GMT. The biggest firework display was witnessed at the Sydney Harbour, Australia which was witnessed by some 1.6 million people. 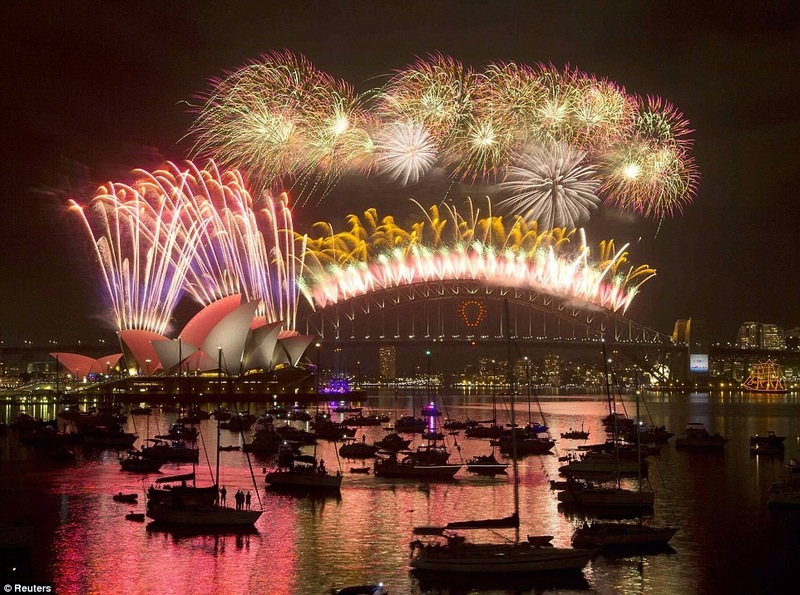 Besides, Thousands of people watched the fireworks in Sydney from some 50 vessels in the water. As per reports some seven tonnes of fireworks was used in the display of spectacular fireworks as seen in above photo and the video below.